Hello Craftberry Bush friends…it’s Annie from Zevy Joy. I hope you had a lovely holiday weekend and are enjoying this start to summer. We are settling into the new routines that summer brings and savoring the longer days with warmer sunshine. Everything is fresh, bright and fragrant this time of year, which brings me to the project I am sharing today! 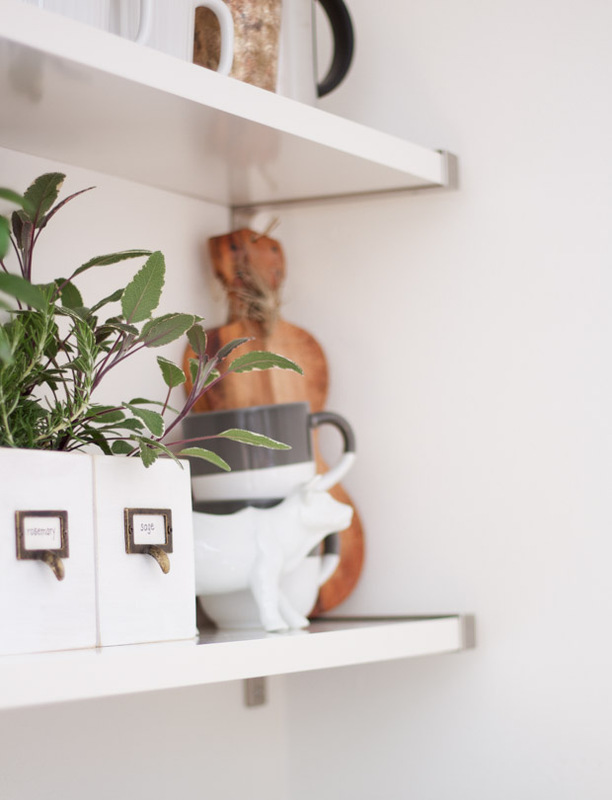 I am sharing how to make these easy DIY Card Catalog Planters that are perfect for housing some herbs during the summer. 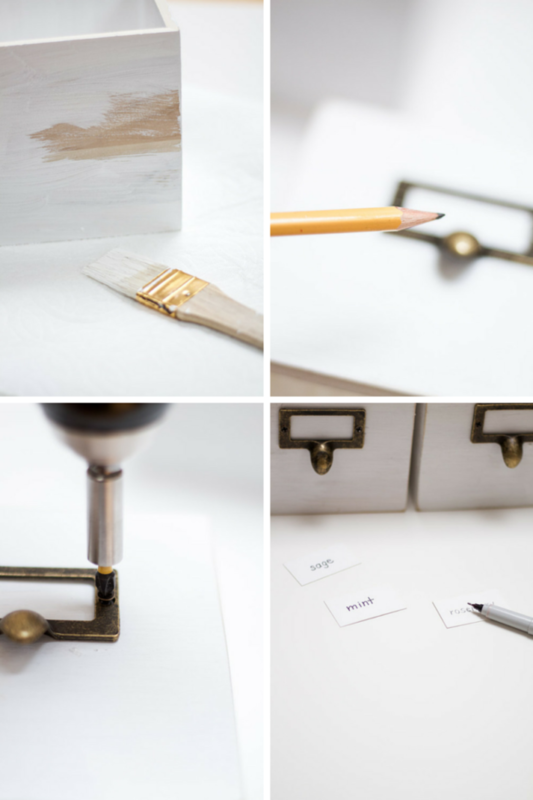 I love putting a little twist on projects and this one is no different! I have always been a fan of those card catalogs or library catalogs that you see in some of the antique shops. They are much harder to find these days and are pricey too. 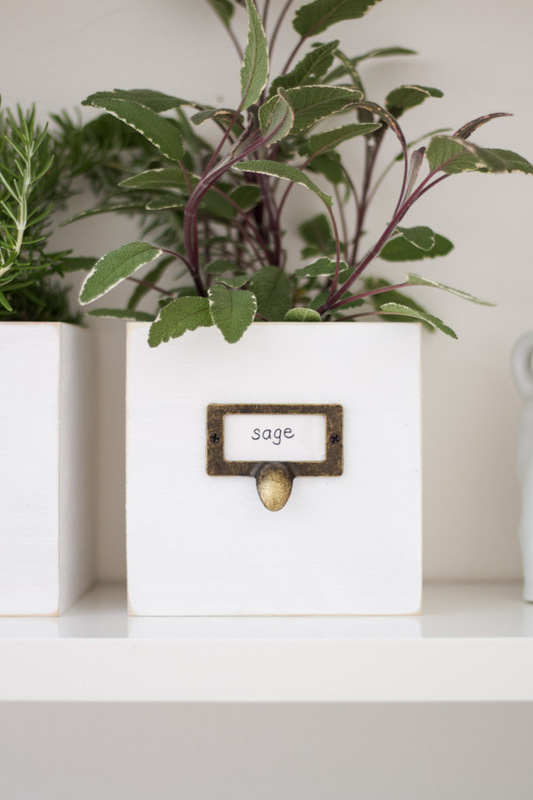 When I saw some little wooden boxes at the craft store I thought how fitting they were for holding small plants. 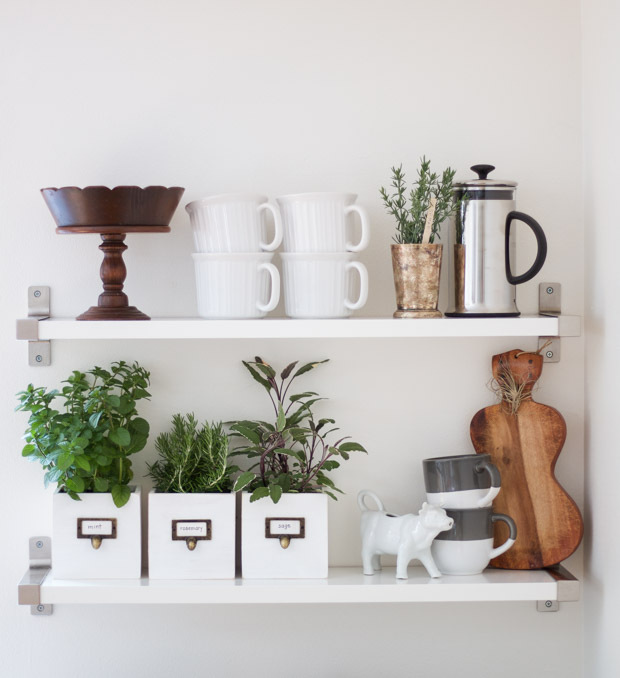 As I thought more about it, I decided they would even be better as a set for holding herbs. 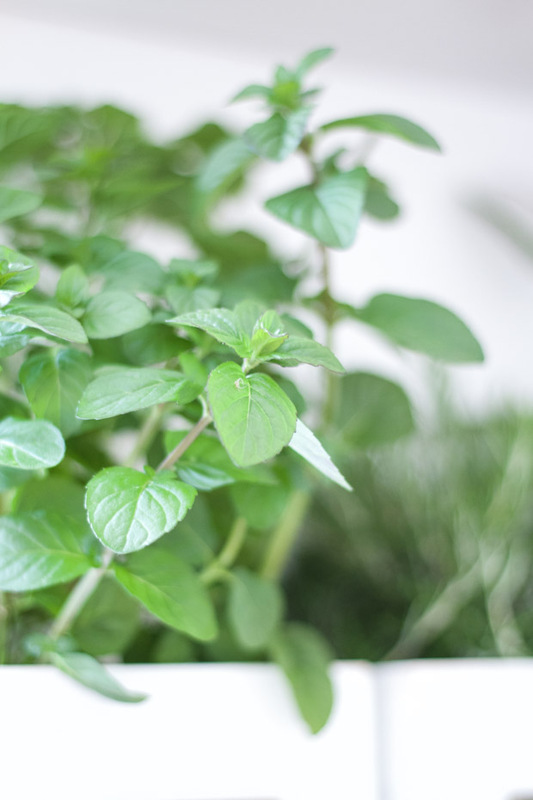 Herbs make such a nice compilation when placed together and the smell is delightful. It always puts me in the mood to cook and let’s face it…sometimes I need the extra motivation! 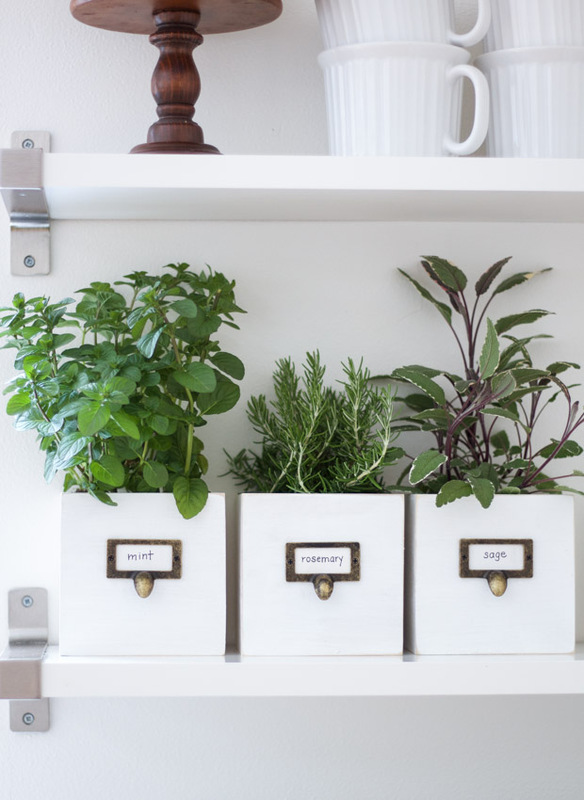 *Please note: Since these are not food safe boxes or materials, the herbs are intended as decor only and not for cooking purposes. A craft wooden box (large enough to hold a small potted plant). Tools for hardware (pencil and drill). Always practice safety with any tools. 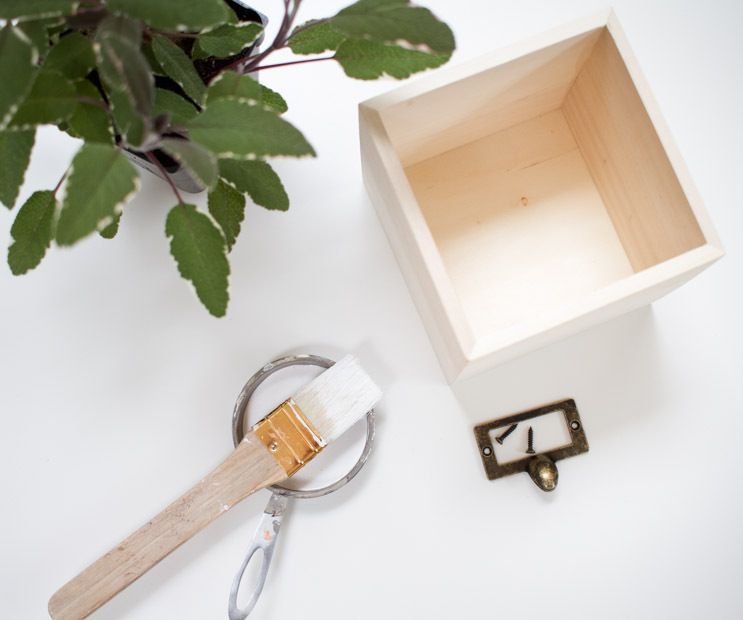 First, paint or stain your box. I used a chalk paint with a varnish finish. Using a pencil, measure out where you will put the hardware. I kept mine to the upper half. Install the hardware using the necessary tools. This may depend on your hardware, but I used a drill. 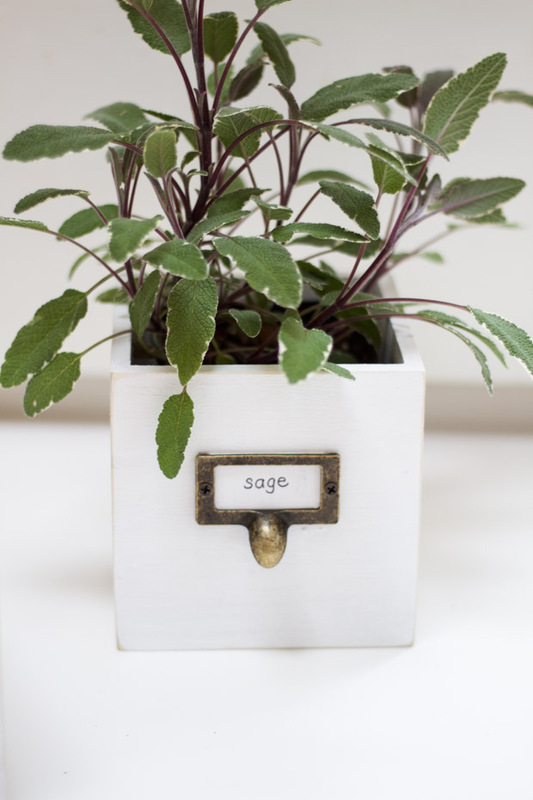 Now place your herb or plant into the box (I left mine in the plastic container for easy removal to water) and you are done! I put my set up on our open shelving in the kitchen. With the windows open, you get a lovely hint of rosemary, mint and sage. It is always a pleasure to take something simple and make it into something charming. 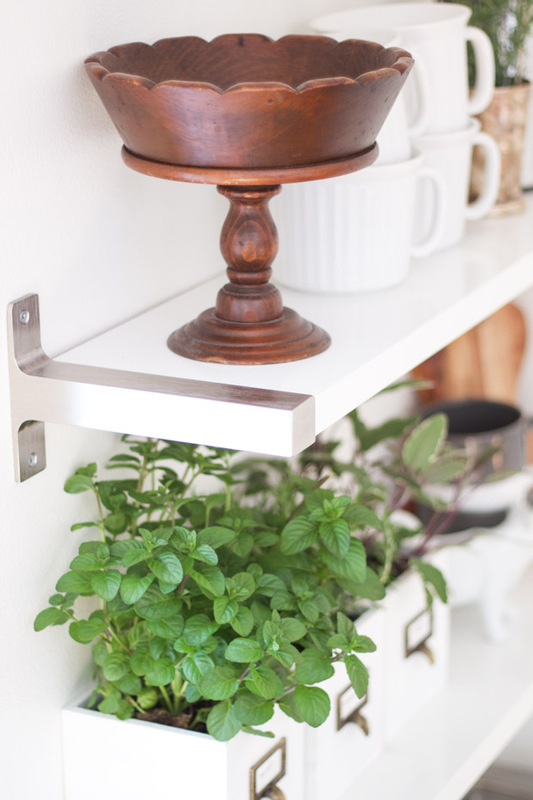 A piece that can add character to your home without costing very much. This truly is a project embracing the notion of enjoying the simple things. Something I try to be intentional about but easily forget. Thanks so much for having me Lucy and I hope you all have a wonderful rest of your week! The planters are exquissite! 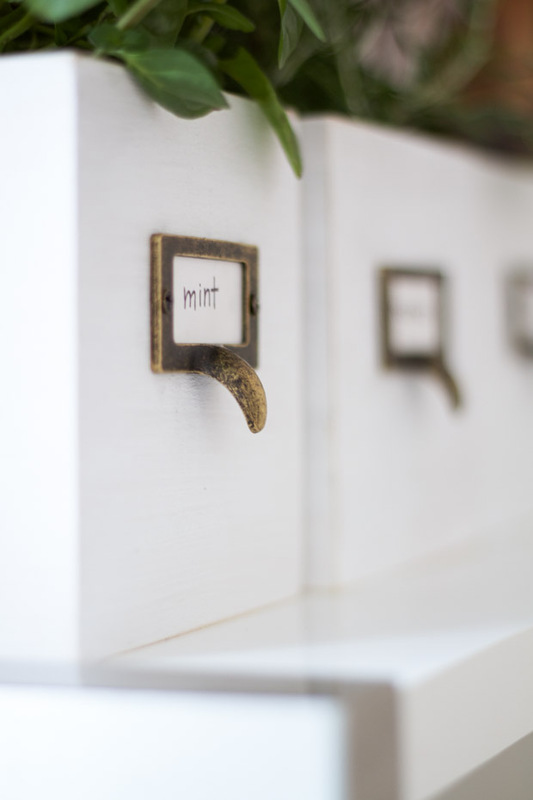 Love the white paint and the old-fashioned card-catalog pulls. You’ve done a very creative craft here. I adore the little wooden compote (aka fruit bowl) on your shelf. I just picked up a wooden compote at a flea market for $1.50. I just had to glue the pedestal back to the bottom and I cleaned it with some Old English furniture oil. Barbara thank you so much, I am glad to hear you enjoyed this! I just love those wooden compotes too. I have to restrain myself from picking too many up while thrifting or out and about =). I should clean mine like you suggested, thanks for sharing! These are just too cute! What a bright DIY idea! !